How to Password Protect A File on macOS Mojave? How to password protect a folder on macOS Mojave/High sierra Macbook? It's time to protect your sensitive files on Mac from prying eyes by password protecting each specific folders and files. This is what we call the "Stick-to-File" encryption method, which is at present the safest way to secure your files both in transit and at rest! There are many forms of encryption: Whole-disk encryption, Database encryption, Application level encryption, Network traffic encryption, Multi-user file/folder encryption, and Single-user file/folder encryption. But to protect your sensitive files on Mac from prying eyes, the best choice is always Single-user file/folder encryption based solution since the encryption will always stick to the file. And this is where DearMob iPhone Manager comes in. With enormous private 4K photos, HDR videos swelling up both on the internet and local storage as the biggest storage hog, DearMob iPhone Manager decides to target these data for precise encryption with Military Grade mechanism. It adopts multiple aced encryption algorithms from both asymmetric & symmetric cryptography, including 1024-bit RSA, 256-bit AES, PBKDF2, Argon 2, to lock down your videos, photos. No matter saved on your Mac computer or Mac computer connected direct-attached-storage (DAS) like external hard drive, optical disc drives, SSD, CD or network-attached-storage (NAS), your sensitive photos and videos will always be safe at rest or in transit from one place to another. For photo/video sharing online, emailing to target recipients, or storing on Cloud like in Dropbox, iCloud drive, Google drive, your photo, videos will always be safeguarded on the fly by this "stick to file" data encryption. 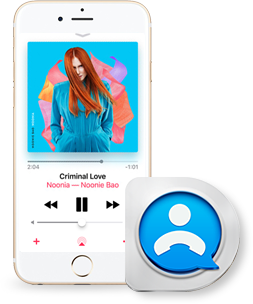 DearMob iPhone Manager encrypted files can only be decrypted by this software alone with one authentic key - your password. How to Password Protect Files on Macbook macOS Mojave? Step 1: Install DearMob iPhone Manager on Mac. 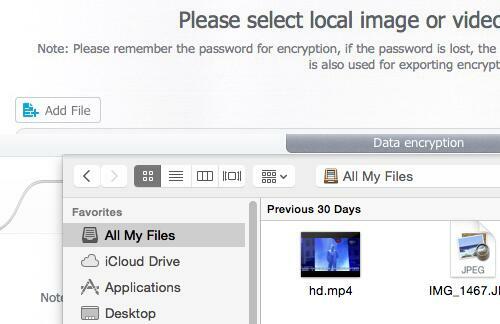 Step 2: Open the software and click "File Encryption". Step 1: You will be lead to this panel, and click "Add-File", you can successfully load your local image or video for encryption. 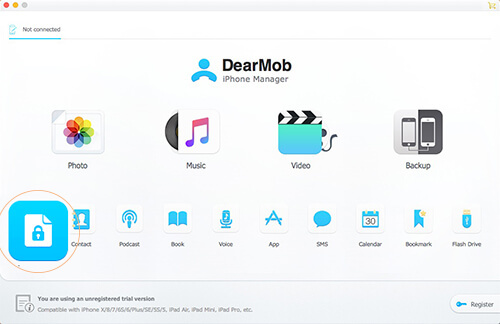 Note: DearMob iPhone Manager can read not only your files saved on Mac but files in storages connected to it, including direct connected storages like external hard drive, USB and network connected storages like LinkStation 220. 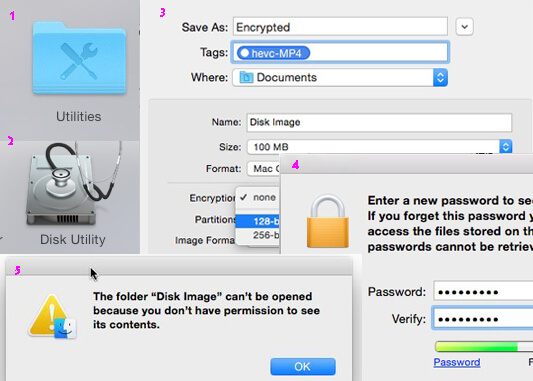 MacOS supported file format encryption: *.3gp, *.asf, *.avi, *.flv, *.mov, *.mp4, *.ts, *.wmv, *.mkv, *.3g2, *.rmvb, *.ogg, *.f4v, *.m4v, *.mp3, *.wma, *.aac, *.wav, *.m4a, *.flac, *.ogg, *.oga, *.ape, *.heic, *.jpg, *.jpeg, *.png, *.gif, *.tiff. 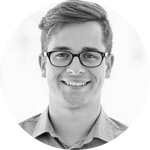 Mac computer allows users to create virtual iOS disk image to lock some of the most important files locally. Note: DO REMEMBER to UNMOUNT your newly created disk after encryption or adding files into that disk folder. When the disk folder keeps open, all your files are visible! And this is where Whole-Disk Encryption falls short of. Since this type of encryption does not stick to each file, and decryption of one password unboxes all your sensitive files! If you desire to get "out of the box" encrypted versions of iPhone video, photos, contacts, backups when transferring out to Mac/Windows, computer-attached DAS/NAS, or uploading to cloud. DearMob iPhone Manager is your second to none choice to overwrite original iOS data on disk with encryption on macOS Mojave, instead of creating unencrypted originals which aren't easy to wipe out entirely. 2 How to Backup iPhone to Computer? How to backup iPhone to computer to keep all you photos, music, sms & other data safe and secure on a bigger storage computer hard-disk? This page will tell you. Always encrypt data before storing it in the cloud. 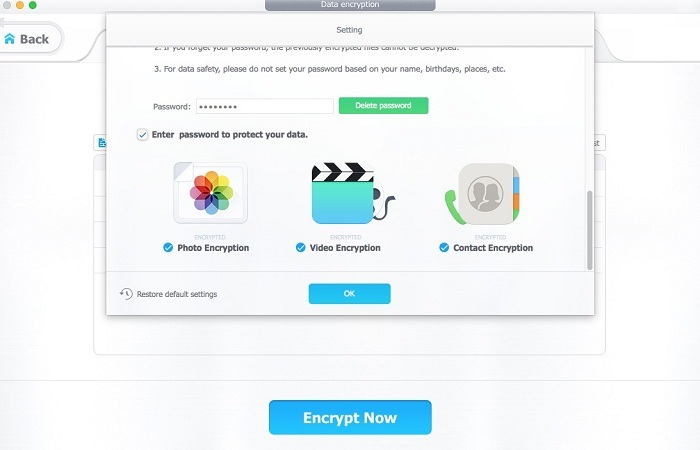 Encrypt your iPhone data and local data before sending them to Dropbox, Onedrive & network sharing like emailing.